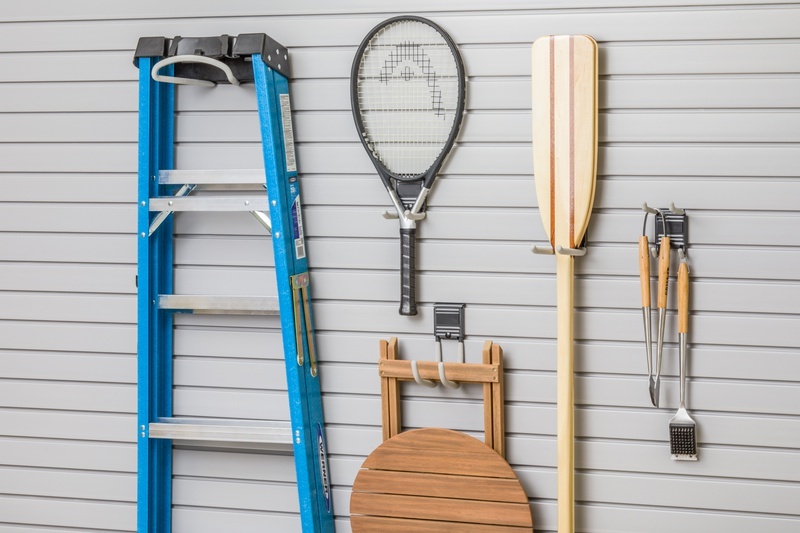 Save steps by keeping all your cleaning supplies in the same place. 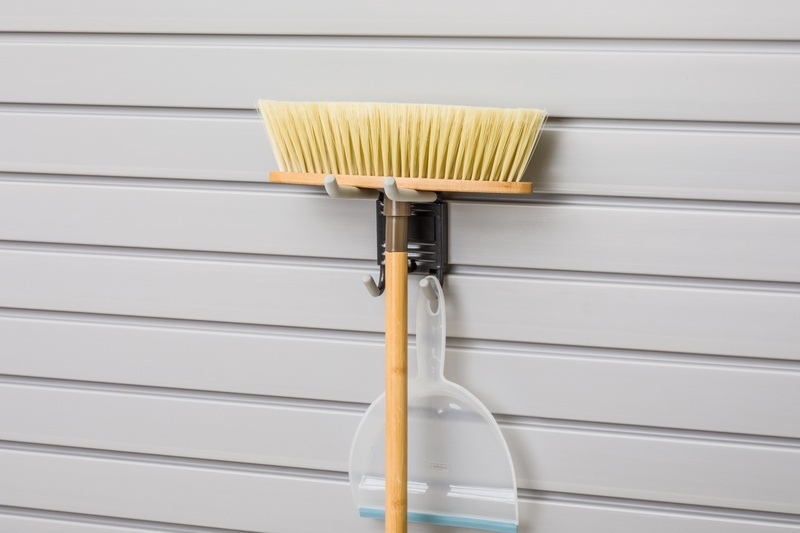 The upper hooks hold a broom, while lower hooks hold dustpans, rags, bags, or dusters. 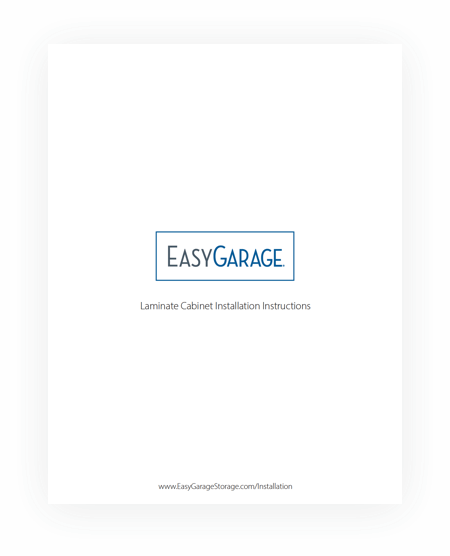 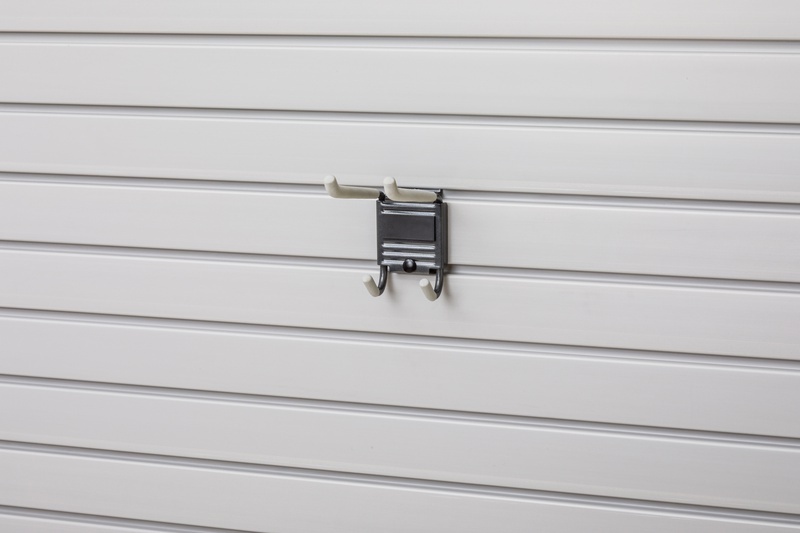 Great for storing items in a garage, basement, laundry room, mudroom, or more.